Where did we come from? Are we alone? 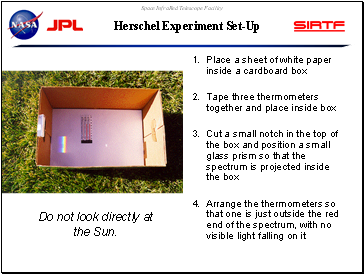 In 1800, while placing thermometers in each color of the solar spectrum, Herschel places his “control” thermometer just outside the red end of the spectrum. 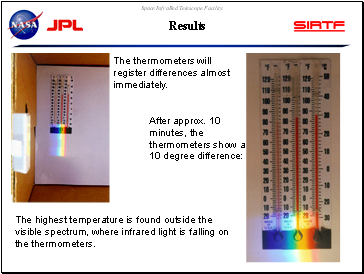 Result: the thermometer outside the visible spectrum registered the highest temperature! 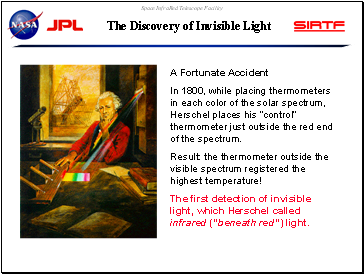 The first detection of invisible light, which Herschel called infrared (“beneath red”) light. 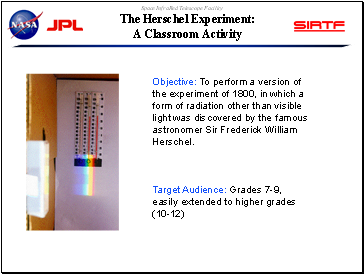 Objective: To perform a version of the experiment of 1800, in which a form of radiation other than visible light was discovered by the famous astronomer Sir Frederick William Herschel. Do not look directly at the Sun. 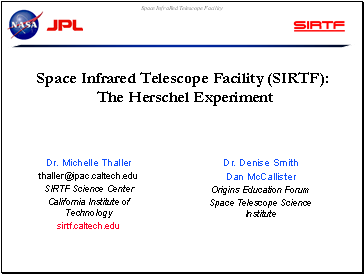 The highest temperature is found outside the visible spectrum, where infrared light is falling on the thermometers. 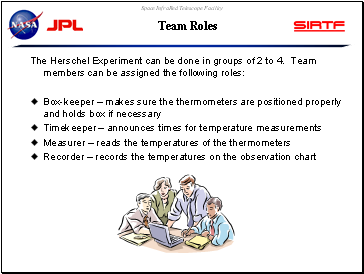 The thermometers will register differences almost immediately. 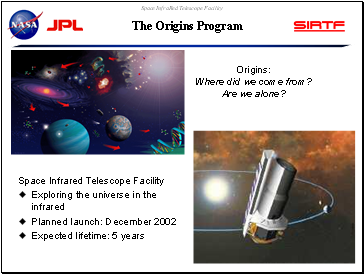 Why a Telescope in Space?